However, according to 20-First’s 3rd Annual Global Gender Scorecard, 90% of Executive Committee positions are still filled by men, with only 10% by women. Both are equally important and go hand in hand. Companies often will implement separate, often competing or conflicting strategies and goals. There’s a “Diversity” strategy driven from one office, and a succession planning and development strategy driven by another. From a manager’s view, it’s confusing. One of the most effective ways to improve representation is through the integration of both. It’s not that complicated to do, it just takes a boatload of commitment, most importantly, from the leader of an organization, along with the support of a strong HR leader. 1. 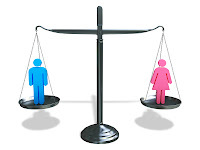 Train Leaders in the importance of gender balance. This is an all-important first step; otherwise the rest could turn into a compliance exercise. Leaders need to understand the business case and practices that may be creating barriers, including their own biases and behaviors. Show them the research, engage them, and provide assessments, strategies and tools. 2. Establish metrics and goals. 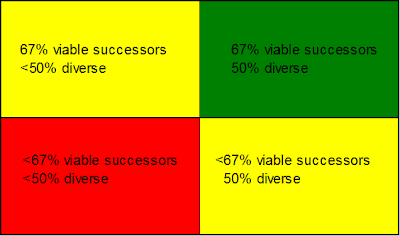 The vertical axis represents availability of successors (low to high), and the horizontal represents diversity of successors (low to high). A green score means an organization’s pool of successors for its key positions are 50% or greater female (and/or minority in this case), and more than 2/3 of them are viable. 3. Tie executive variable pay to both end result (representation) and activity (2X2 grid) metrics. 10% is a good percentage – enough to drive behavior, but not enough to overshadow other key business metrics. 4. Establish “Top 10 lists” for every major business unit. It’s expected that as an organization begins this journey, managers will most likely be either “yellow” or “red” for the first few years. So, you need to look at the next level down for feeder pools. One way is to have each organization identify its 10 top females, minorities, non-U.S., or any other category you are trying to improve. “Top 10” is a relative metric, so there should be no incomplete lists. If top 10 lists are weak, then keep digging deeper, all the way to the entry level recruiting process if necessary. 5. 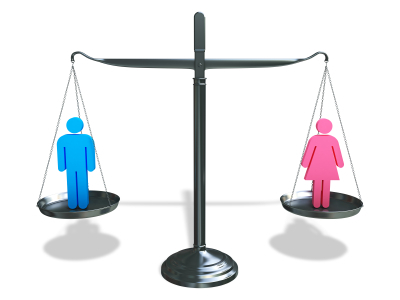 Allocate development resources to female candidates. An example of this would be to mandate that ___% of slots in an organizations executive development program is filled with female succession candidates or Top 10 lists (if appropriate). Yes, this may sound exactly like a quota – and it is – but’s it’s the only way you’ll ever begin to make any progress on improving overall representation. It also has the side benefit of slowly beginning to change the culture, as diverse participants begin to shape the thinking, attitudes, and behaviors of others that wouldn’t have normally had the opportunity to interact with those that are “different”. For example, diverse “action learning” teams often produce the most creative solutions. 6. Every successor should also have an individual development plan (IDP) and a senior level mentor. Engage high potentials in career and development discussions. It’s important not to assume that every identified “high potential” wants to be an executive. Mentors can help paint a realistic picture of the role, advantages, disadvantages, and implications. 7. Ensure that at least one diverse candidate (internal or external) is interviewed for every executive opening. Yes, it’s the “Rooney Rule” (established in the NFL in 2003) – and it’s had mixed results – but in general, has had a positive impact. The idea is to cast a wider net, and in the process, help identify barriers that may be getting in the way of attracting and hiring the best talent. 8. Regular use of public reward and recognition. Tying succession goals into pay isn’t enough. In order to change behaviors, there needs to be visible examples of diversity champions being rewarded and recognized. An annual CEO’s award can be very motivational. Of course, public hangings are also effective, but I’d rather focus on more positive ways to change behaviors. Otherwise, your efforts can begin to feel like a witch hunt. 9. Support newly promoted or hired candidates. Transition to the next level or a new organization is a difficult process. It’s especially challenging for females and minorities, who could be perceived as being undeserving, especially if their development was accelerated. All of these efforts could go up in smoke if these rising stars, full of potential and promise, fail. One way to provide support is by providing the services of an executive coach for the first 6-12 months, or through participation in an external executive development program specially designed to address these unique challenges. If you buy into the business case for achieving greater gender balance in the executive ranks (and I do), then using succession planning and development can be a powerful way to achieve that goals. I've attended various seminars where panels of entrepreneurial, executive and board level women have given various talks about their rise to the top and how they got there. Many of the women talk about how they found themselves in quite a male dominated culture, where their managers were reluctant to promote them as bias was prevalent. When asked by the audience what advice would they give to women looking to climb the ladder, a number give the same sort of response. Seek out and identify a male leader who you respect. Find a way to get an introduction and ask them to mentor you directly. It seems one of the strongest ways of breaking down barriers for women to break the glass ceiling is to find someone who will act as an ambassador for you. 1. Recognize that EEO trumps Affirmative Action and Diversity. 8. Always select the best qualified person for the job. No games. No wink, wink, nudge, nudge. If you slip into the use of quotas, you have violated the law and have lost trust. Thanks for that advice. All you have to do is ask, and most are flattered. Thanks, very helpful. I'm NOT an attorney or EEO expert, so I appreciate your perspective. Awesome comments from two respected HR/workplace experts! The book you mentioned in your intro seems really captivating, I will get a closer look for sure! 9. Check you unconscious biases. If you slip into hiring people who look like you, you have violated the law and have lost trust. 10. Don't suggest to someone who doesn't look like you that they were hired, promoted, or otherwise benefitted from quotas. Because that suggestion breaks trust, and the law. 12. When you are doing outreach for job openings, don't just reach out to traditionally male hiring paths. As an EEO consultant, I wouldn't hire you, because your list clearly demonstrates that the only "equal" opportunity you worry about is the equal opportunity for white males to continue dominating the workplace. 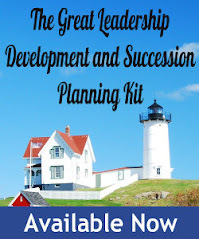 When creating a succession plan make it transparent. Too many employees waste must time awaiting promotions that were long since decided.